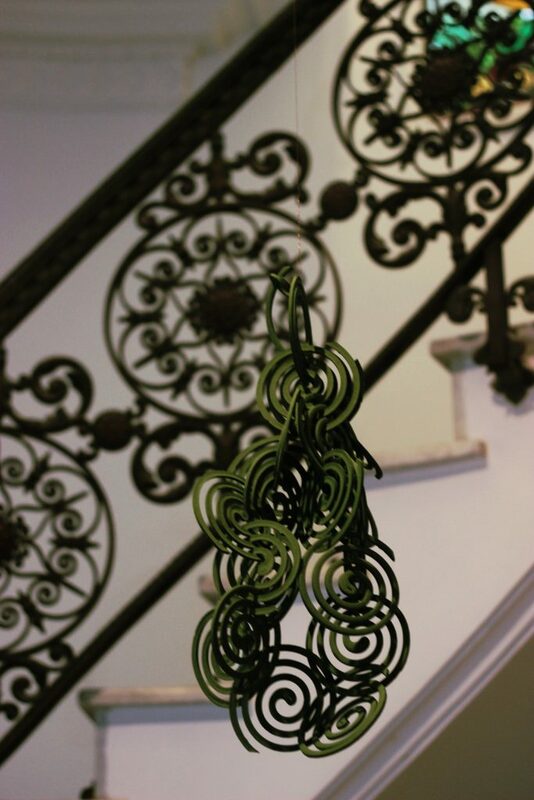 The entrance to the Z42 Contemporary Art Gallery, a 1500-square-meter house built in the 1930s, would simply lead us into the first room if it were not an almost imperceptible detail in the hall: a spiral incense suspended by an invisible wire. Easy to miss on a first visit, João Modé’s work gains strength when João Paulo Quintella, one of the curators of the show, takes a lighter and ignites the work. Instantly, the circle dissolving in the air and spreading smoke through the environment enhances the notion of passage and transience evoked by the theme of circularity. At the end of the exhibition, we find the same work displayed in a tower, reinforcing the idea of ​​cycle that permeates the show. In the first room, Gabriela’s Mureb engine “Machine#3:Strap” perpetually annoys the spectator with the persistent resounding of its noise throughout the environment. The machine, a sign of capitalist production, operates with repetition and constancy. The discomfort we feel breaks with the docility of a time when visiting museums and galleries was restful. Mureb’s work reflects the anxiety of living in a modern society dominated more and more by mechanical practices and by a time frame in which we never stop working. Bia Martins’ video work, “A sculpture is a sculpture is a sculpture,” depicts a bust of plaster falling from the top of the university building where the artist studied in a scathing criticism of the academicism that has accompanied art for centuries. In a violent gesture that detaches contemporary art from the canon of tradition, Bia Martins replaces circularity with finitude. The shattering of the bust that we see repeatedly reaching the floor assumes the angle of the artist, suggesting curatorship, and refers to the harsh cut with the past necessary to usher in a new future. 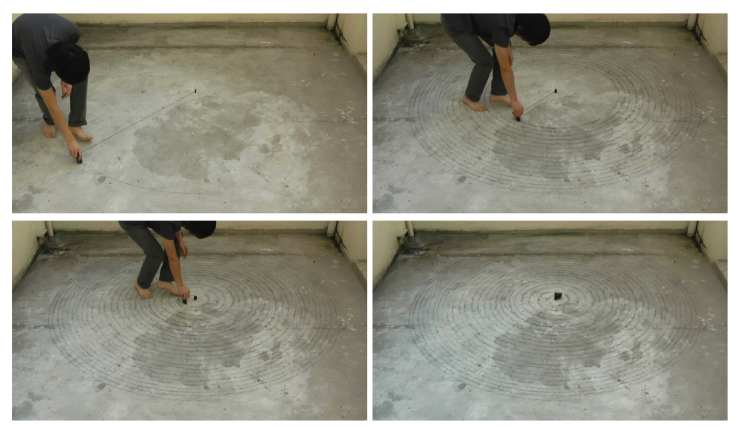 Bia’s installation dialogues with the video “Centripetal fury,”by Andre Terayama, the record of a performance in which the artist traces a series of circles on the floor. The greater the artist’s physical effort on the execution of this gesture, the more he becomes unbalanced and his lines become flawed. His work reveals that the attempt to approach perfection is, from the inception, in its vanity, failed. >>is Centripetal fury also a Bia Martins work? Is Bia male or female? 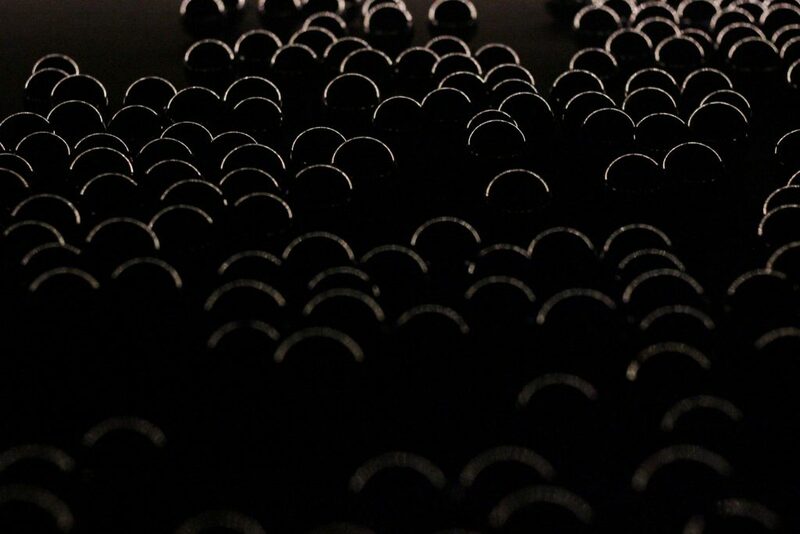 In a room designed to be visited one person at a time, Maria Laet built a beautiful installation in which we enter a dark space to walk among Chinese therapy balls, a work that crosses sound experience with a tactile one. The tranquility of that work is offset by the jolt of Nike Arnold’s video about a cremation in Germany. 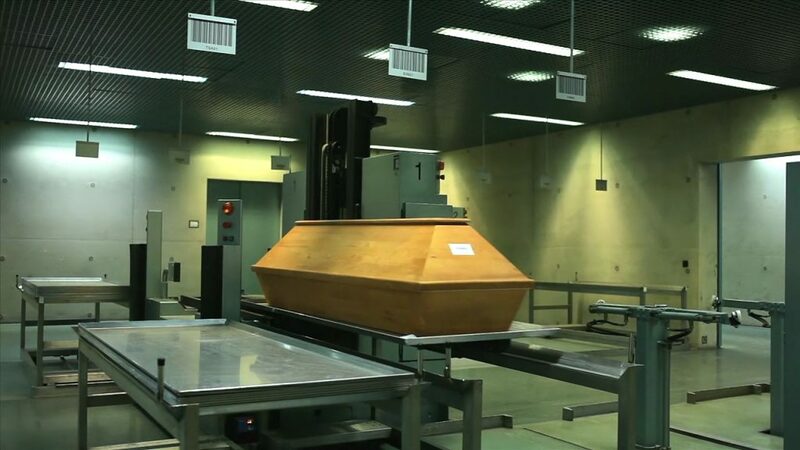 Throughout the projection, we see how the crematory process, a visual description of life’s ephemerality, is accomplished without any human intervention in a purely mechanical technique. At the end of life, Nike’s work corroborates the coldness of human isolation and confirms that we are, in fact, alone at death. This is the first exhibition in Cosme Velho space, a few meters from Corcovado. Under the management of João Paulo Quintella, the Z42 hosts the FOZ Project which brings, in addition to the show, a series of activities in the auditorium, such as courses and lectures with the intent to open the space for a new generation of artists and researchers. In “Vain Circularity,” we are faced with the problem of the concept of time that governs each of us. Behind ideas of repetition and transience, we are forced to ask about our own condition as modern subjects, subjects who see the possibility of experience broken and who struggle with a temporal logic that throws us into a world in which we never finish what we start. The circular idea of ​​time, which also refers to a supposed totality, is ineffective, vain. Here, everything is ruin and shattering.”Vain Circularity” supports the notion that, as the Italian philosopher Giorgio Agamben says, the true revolution consists not to change the world, but time.